Welcome to Hessel Stone! 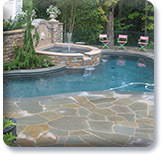 We are a family owned business specializing in fabricating and supplying natural stone products. Our craftsmanship is unparalleled whether you are in search of a custom made fireplace, limestone front entry, or the perfect stone for your patio. We strive to make your building experience as easy and fun as possible. Please take a moment and explore our site showcasing some of our work, keeping in mind that we excel in custom jobs. If there is something special you have in mind, don't hesitate to ask. We can help bring your vision to life! Serving the greater Cincinnati area with quality stone masonry, specializing in design and construction of patio stone, fireplaces, retaining walls, veneer stone, architectural limestone, limestone entryways, pools, homes, fire pits, stone fences, stone staircases, stone columns, stone planters, stone patios, stone terraces, stone sidewalks, stone driveways, stone signs and more! We can help walk you through your project, step by step. Our goal is to create a space you can enjoy and share with friends and family for generations to come! Yes, however we are not setup for lots of customers. It never hurts to call ahead and be sure to bring your mud boots! Can we match fireplace surrounds from a magazine? Typically yes, this is what we specialize in. Yes. Depending on what you are interested in, we usually use Beamer Wilcox Trucking. It's usually best to call ahead of time. Call Friday and let us know you are interested in stopping buy. © 2015 Hessel Stone Fabricating, 497 Round Bottom Road, Milford, OH 45150 (513) 248-0191. All rights reserved.